Q: What is the AutoShip program? 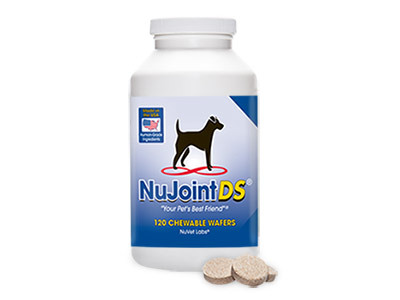 A: Our AutoShip program allows you to receive a 15% discount off of the product price for NuVet Plus®, and 10% off the NuJoint Plus® or NuJoint DS®. 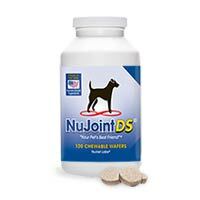 It is an automatic refill of your NuVet Labs® supplements; the shipping frequency is calculated according to the number of pets you have and how many supplements they each get per day. As a courtesy, AutoShip orders scheduled to ship on a holiday or weekend are generally shipped the preceding business day to help ensure that you do not run out of your pet's supplements. You may contact our office anytime in between orders to make changes or to submit a cancellation request with our customer service department. Please note our Company does not send reminder notices prior to AutoShip refills. As long as you remain on the Autoship program you will continue to receive this discount on future refills. Q: How do I check the status or make changes to an existing AutoShip order? A: For any inquiries or changes to an existing AutoShip order, please feel free to call our toll-free number (1-800-474-7044). Shipping addresses, payment methods, and postponement of the next refill date may be made online by logging into your www.nuvet.com account or by calling our office. All cancellation requests, changes to product quantity or refill frequency must be made via phone. We request that customers contact us prior to the ship date of the order to which they wish to make changes. We do not resell any returned product so a cancellation of an AutoShip order once it has been shipped is subject to a 20% destruction fee.